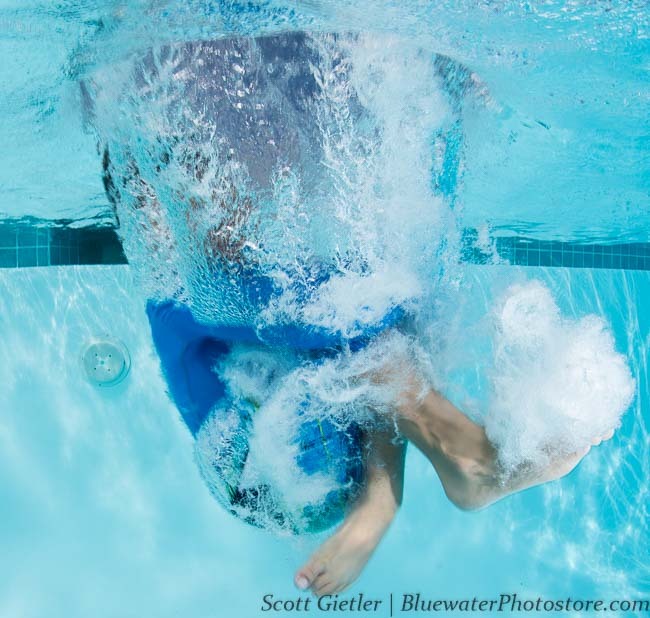 After shooting with the Nikon D500 in the pool for several hours, I can say that the high-speed shooting capability of this camera truly puts it in a class of its own. No longer having to worry about missing the best composition of a sequence, my mind races towards the new possibilities of 10 frames per second, shooting with ease at ISO 12500, 25000 and higher, and highly accurate auto-focus. Don't walk, run towards this camera! 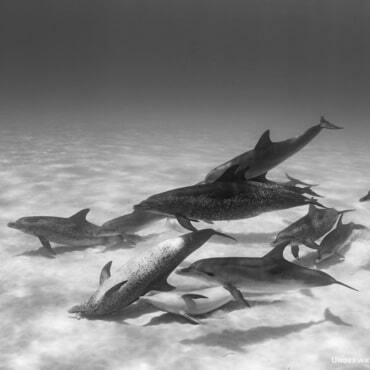 Click here for BWP D500 Blog articles with topside & nature photos demostrating shooting at ISO 50,000, auto-focus tests, high-speed shooting tests and more. 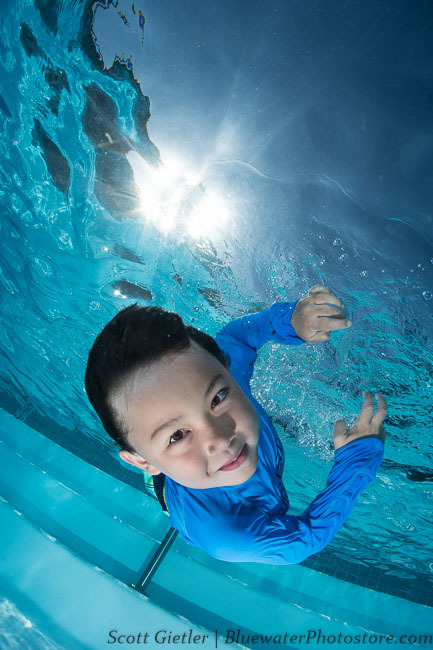 Auto-focus worked great in the pool, and we did not experience any "hunting" of the Tokina 10-17mm fisheye lens, or out of focus shots. Focus mode was set to AF-C, "Auto", which used a large area of focus points. And of course, shooting at 10 frames per second was mandatory, as it made shooting so much fun. 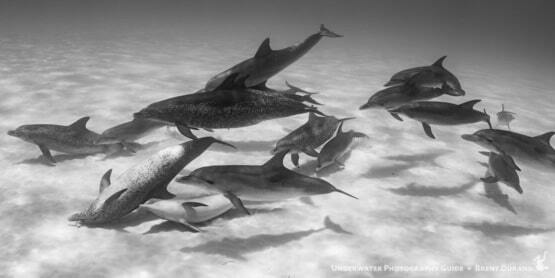 F10, 1/250th, ISO 100, shot at 10 frames per second. The high-speed shooting capability of this camera is truly amazing, and is what sets it apart from other cameras. This moment only lasted for 1/10th of a second. F10, 1/250th, ISO 100. 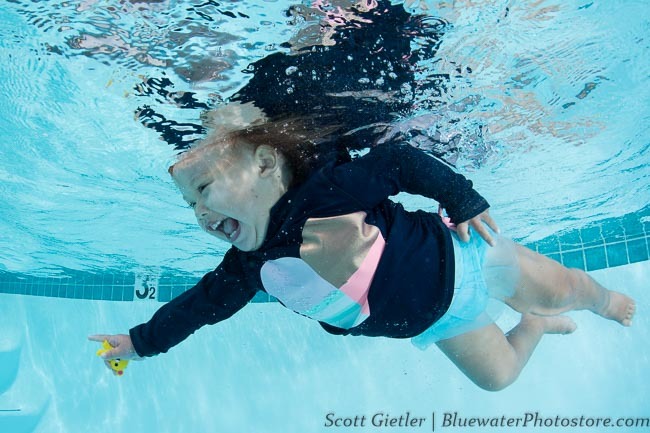 Even 1-year old babies are happy to be around the D500 underwater. F10, 1/250th, ISO 160. 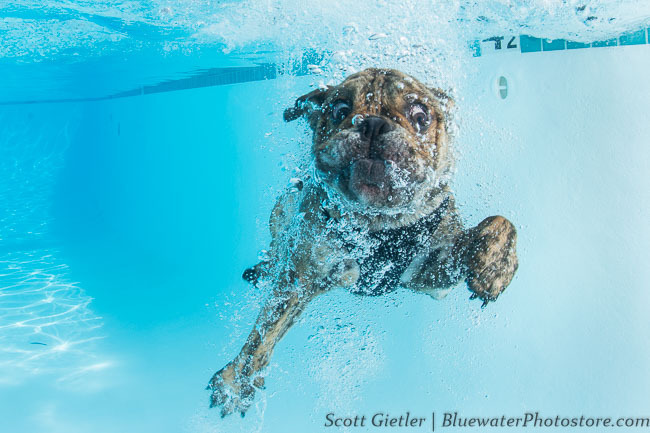 This dog just hit the water, and only shooting at 10 frames per second were we able to get this shot. Again, the high-speed shooting and auto-focus capabilities of this camera shine through. F10, 1/250th, ISO 160. 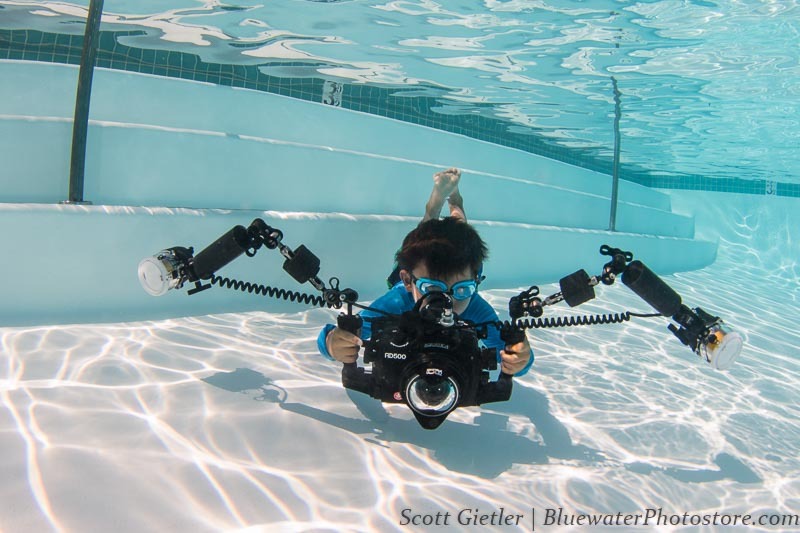 We capture a photo of one of the world's youngest underwater photographer, Ryan Gietler, in action, after switching from an Aquatica to a Sea & Sea housing. 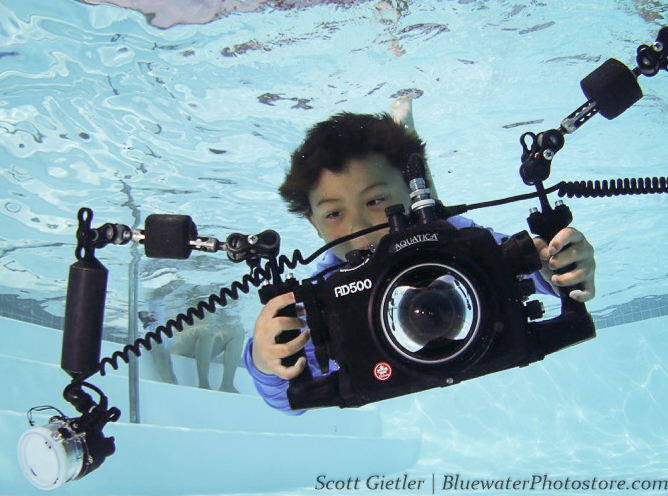 5-year old Ryan Gietler uses the Aqautica D500 housing with ease, even reviewing images he took, while underwater. 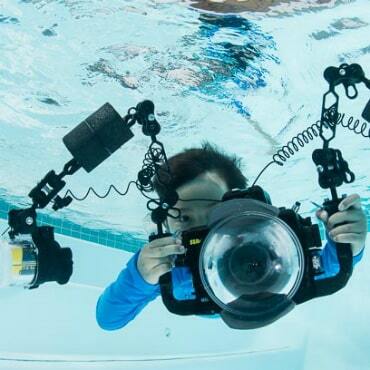 Both the Nauticam and Aquatica housings are out, and are excellent quality. 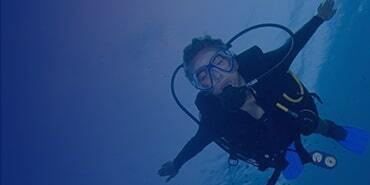 We took underwater video in both 4K 30fps mode, and 1080p 60fps mode, of some fast-moving action sequences. We turned the D-Lighting setting from off to normal. The videos looks great, and we'll be posting here later this week. We were pleasantly surprised at how well the video worked right out of the box, without having to adjust hardly any settings Another nice feature is that the video settings are separate from the still camera settings, so you can change your still or video settings and they won't effect the other. We turned on the movie D-lighting feature to normal, set the video to a small aperture, a fast shutter speed, AUTO-ISO mode and then let the video record! Short 4K clips were possible even with slower memory cards. With even a mid-range speed SD card, longer 4K clips were not a problem. There are two main modes you will be choosing from 4K UHD 30fps, or 1080p HD 60fps. 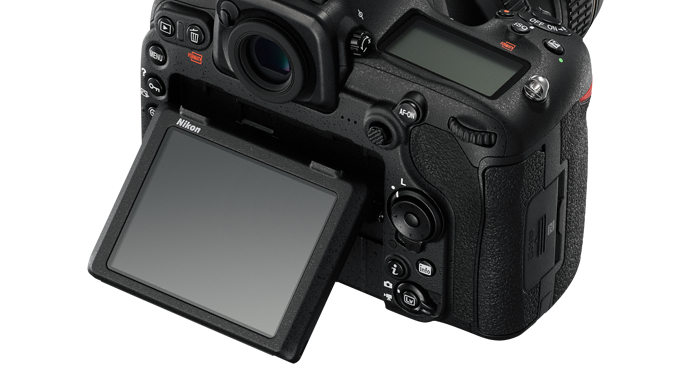 The Nikon D500 is a 1.5x crop sensor camera. When you shoot on video there would be an additional crop factor is applied, if you measure the crop horizonally. 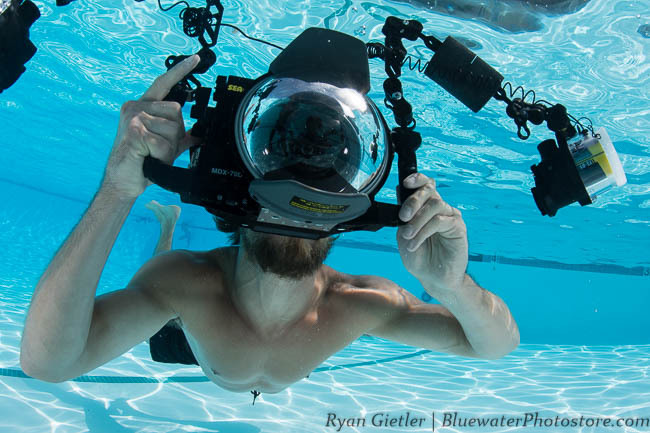 When we were shooting video underwater, we were using the Tokina 10-17mm fisheye lens, which worked out nicely. 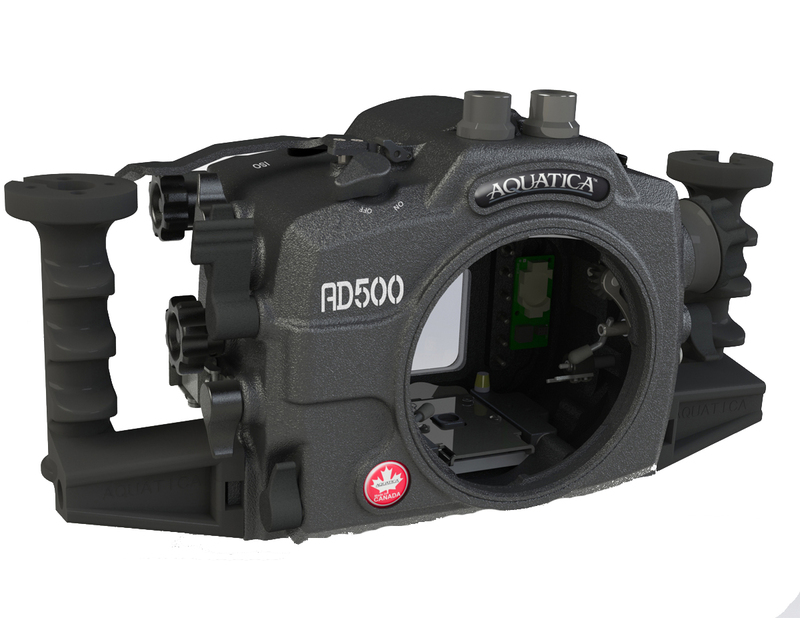 The new Nauticam NA-D500 housing offers improved control placement, a new included flash triggering system (with optional TTL upgrade), optional vacuum check system, and a smaller size & weight. 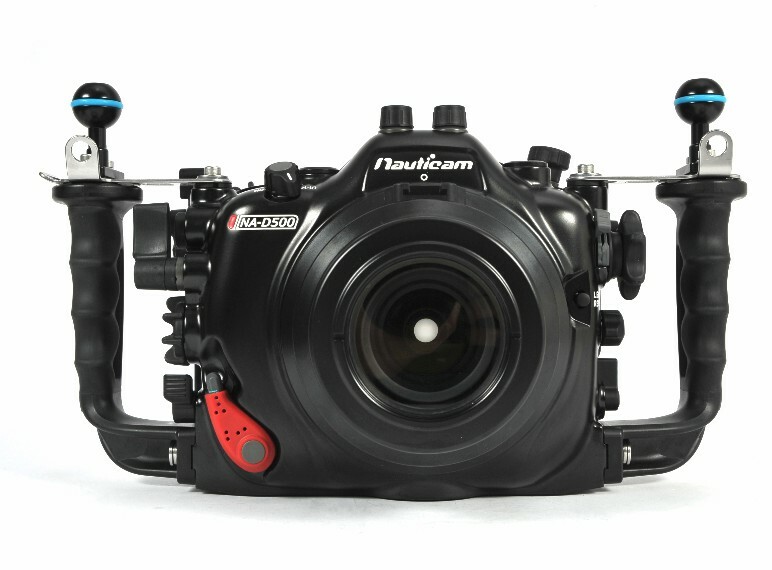 We've used this housing and it is very easy to install the camera, change ports and use the controls. The long wait will be over as Sea & Sea will be releasing this awesome housing this end of July. 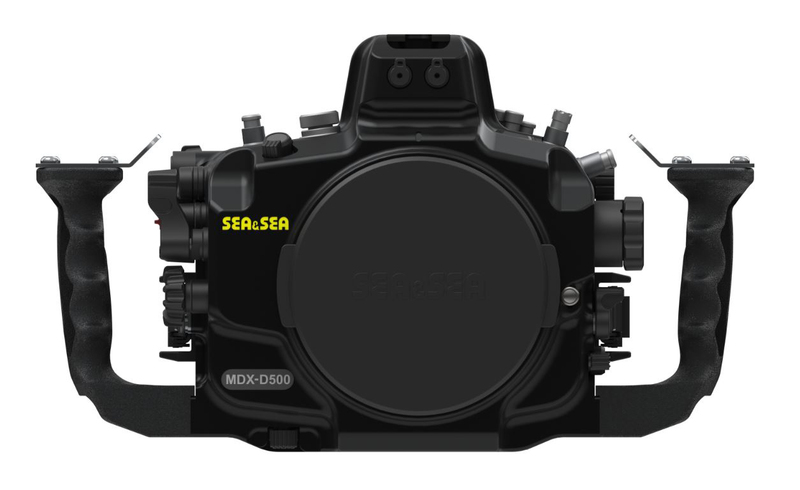 MDX-D500 has redesigned levers for ergonomics, and glow-in the dark luminescent buttons to increase visibility while shooting in low light conditions. 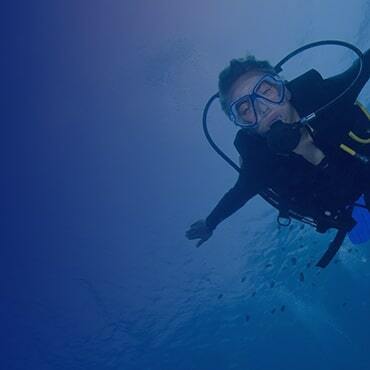 It is compatible with the optional internal Optical YS TTL Converter, and the optional Vivid leak detection / vacuum check system. 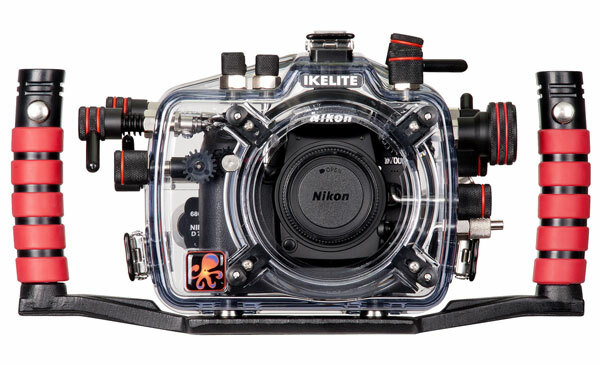 The Ikelite D500 housing is made from lightweight yet durable polycarbonate material. 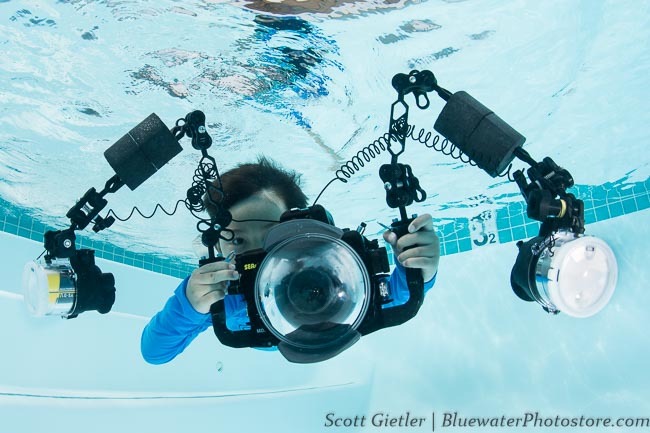 This also includes zoom gear, TTL circuitry for Ikelite strobes and bulkhead connection for electronic sync cords, and is compatible with the Vivid Leak Detection / Vacuum Check System. 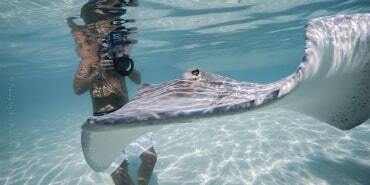 Nikon 105mm VR macro lens - great choice for supermacro, small fish, shy subjects, experienced macro photographers. Can be difficult to use at first.